"The greatest party in the history of mankind now has to end"
Cheap fossil fuels are at the bottom of the economic food-chain, and we, the consumers, are at the top. We take this energy for granted, but add €1 of fuel to a modern car and it will drive you and one tonne of metal (the car) to the top of a small mountain. 200 years ago, this feat would probably have taken 10 people and half a day. There’s no other way to put it – fossil fuels are magic – and over the last century, the combination of energy and machine has led to the fastest growth in living standards ever. But the greatest party in the history of mankind now has to end. These two charts should convince you that we need to reduce our fossil fuel addiction. On the left (Chart A), is the relationship between world economic activity (Gross Domestic Product) and the amount of carbon in our atmosphere between 1960 and 2017. The average relationship (blue line) is very clear: the more the world economy produces, the more carbon is released into the atmosphere, which is exactly what the scientists have been saying for decades [insert smug emoji here]. The current amount of carbon in the atmosphere is higher than at any point in the past 100,000 years. The climatic effects of this are displayed on the right (Chart B): The more carbon in the atmosphere, the warmer the climate (temperature data sourced from NASA). This troubling relationship between economic growth, fossil fuels and global warming is probably the issue of our time, and a continuously warming climate poses very significant risks to communities and ecosystems. In economics (actually, in many disciplines), we describe an externality as a situation in which our consumption of a good or service negatively affects the welfare of others. The textbook example is smoking a large cigar next to a non-smoker. But externalities are often self-regulating in situations when the consumer and the affected person(s) are not separated by time and space. For example, most decent people living in an apartment building will not play loud music when their neighbours are at home and most people will (try to) resist breaking wind in an elevator… We generally do not want to negatively affect those in our networks, mainly because it does not make sense to jeopardise future relations. However, when it comes to our consumption of fossil fuels, self-regulation may not work. Those negatively affected by your carbon emissions are separated from you by time (damages will affect future generations) and space (damages will have greater impact on developing countries). We will all be long dead before the real benefits of today’s carbon reductions are realised – if we implement them. This is the mother of all externality problems. We will need households and businesses to invest in energy efficiency. Big time. The good news is that energy-saving technologies have a number of benefits for adopters. Take, for example, the decision to invest in new energy efficient windows. The benefits include lower energy bills, a more comfortable and healthy living space, a sizeable appreciation in property value (shown to be the case in many countries) and, for some, a warm glow for doing the right thing for the environment. But, if these combined benefits do not outweigh the costs – both the monetary cost and the hassle – the investment will not take place. The government can only affect one of these benefits – energy bills – and the classic economist solution to what is a clear externality problem is to make energy more expensive through taxation. The logic is fairly straightforward: a carbon tax on fossil fuels makes older energy-intensive technologies more expensive to run and therefore increases the benefits of switching to newer, better, more energy-efficient technologies. Also, compared to other policy options – say, for example, an annual fuel quota per household – taxes are a more "efficient" mechanism, in that they allow our market participants (buyers and seller) to function as normal, albeit under new prices. From RTÉ's Your Politics podcast, is Carbon Tax the new water charge? There is past evidence in Ireland that taxation can encourage households to invest in energy efficiency. In July 2008, we switched our vehicle registration and annual road tax system from engine size to carbon-based. After the switch, diesel cars were still more expensive than petrol but, given that they emitted less carbon, they had considerably lower annual road tax. The change in buying behaviour was very significant. In 2007, the year prior to the change, the diesel share of new cars sales was just 28 percent. 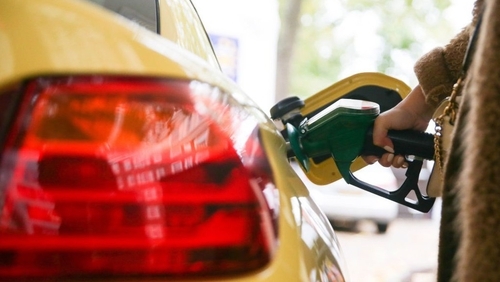 By 2009, the year after, the diesel share had jumped to 57 percent. Our transport-related carbon emissions were reduced considerably. While diesel is once again out of fashion, this example nonetheless demonstrates a willingness of Irish households to pay more upfront for lower-carbon technologies in exchange for reduced future costs when the regulatory incentives are provided. The Norwegian electric car miracle is another example of taxation improving the environment. Fully electric or plug-in hybrid electric cars represented 60 percent of new car sales in Norway in September 2018. Compare this to Ireland, where the current share is less than one percent. The many Norwegian incentives certainly support the switch to electric, including driving in bus lanes, free parking and no tolls. However, it is also important to remember the very large Norwegian stick: their taxation system has made non-electric cars very expensive. Right now, for example, the electric Volkswagen Golf is about four percent cheaper than the entry-level diesel car. Back here in Ireland, however, the electric version is 38 percent more expensive. So what’s really driving high electric car sales in Norway? It would appear that taxes are playing a very large role. A slow and steady long-term commitment by national governments to raise energy prices through a carbon tax would provide a signal to households and businesses to invest in energy efficiency today. Households with finance and credit constraints would certainly be hardest hit, but could be supported by energy efficiency grants. Furthermore, unlike water charges, there appears to be strong public support for carbon taxes in Ireland: 80 percent of the Citizen’s Assembly said that they would be willing to pay higher taxes on carbon intensive activities. It’s time to break the addiction. We can still go to the party. We just need to behave in a manner which will allow us so to find our way home.